I read this article and wanted to share it with you: The Allure of Hands-off Homeschooling https://blog.sonlight.com/the-allure-of-hands-off-homeschooling.html. 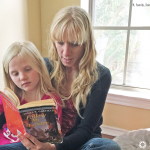 Did you know that some homeschool programs will teach your children for you? You can put your child in front of a computer and then go about your day. Your kids can be homeschooled without you being involved. I'm not anti-technology. I've seen programs such as Teaching Textbooks work beautifully. So it's not the homeschooling computer programs themselves that I have issues with. It's when we use these programs to replace what I believe is a parent's role. I see the allure of what we might call hands-off homeschooling. It's so easy and convenient. 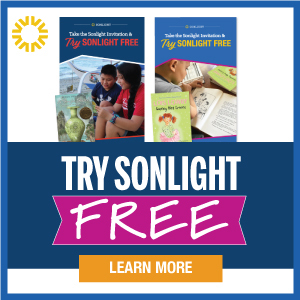 But while that might be the best option for a few families, it is definitely not the Sonlight approach. Annie Dillard reminds us of the obvious: "How we spend our days is, of course, how we spend our lives." So how do you want your family to spend its days? 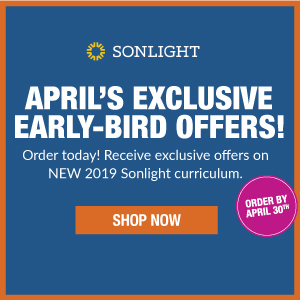 Sonlight is about families learning together. 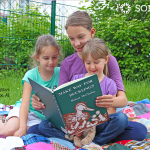 You and your kids will read, talk and discover together. 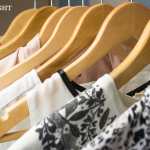 Your typical Sonlight day includes snuggles with your little ones and real conversation with your older students. 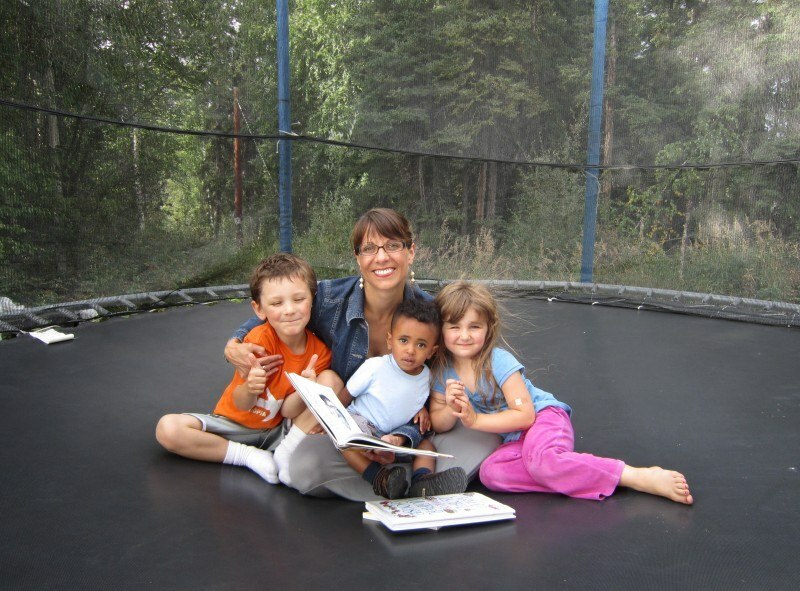 Sonlighter Janelle R and her children spend some homeschool time on the trampoline. 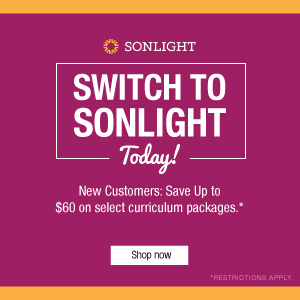 Sonlight helps you fulfill your God-given duty to guide your children in life. 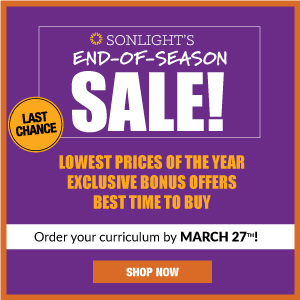 We give you the tools, schedules and resources you need to be confident as you homeschool. The result of your central involvement is that your children grow up learning that you are a great source of loving wisdom when they want to talk or need advice. What a privilege for parents who have cultivated that sort of family atmosphere! When your children become adults, do you want them to engage with you in face-to-face, attentive conversation? Or do you want them to be constantly preoccupied by technology? Will your adult children be able to ignore their gadgets in order to relate with their families – at the dinner table, in social settings, or when guests are visiting? Your kids will naturally learn to use technology. The question is whether they'll also learn the art of really listening, of conversing, of maintaining thoughtful discussion. Family-centered homeschooling (i.e., the Sonlight approach) helps them learn this. And that's just the tip of the iceberg. 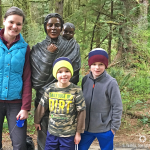 Family-centered homeschooling also builds precious family memories, shared experiences and bonding times you will treasure for decades to come. What benefits have you seen by interacting with your children throughout your homeschool day?